Madrid, 20 February 2009 – R , the Galician fiber optic communications company, has selected Vitria Technology’s new M3O solution to quickly solve exceptions affecting subscribers. Through guided intervention or total automation, R will be able to solve exceptions without the company’s workflow being impacted. 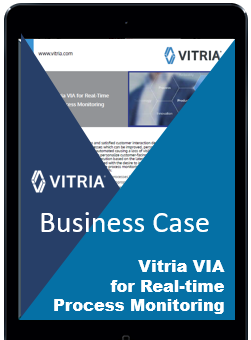 Specifically, Vitria’s Exception Management Solution combines the experience of three generations of products bringing together the advantages of business process and rule-based exception modelling in one business-class solution for unlimited incident management. This solution won the IIR SOAwards 2008 for integration tool of the year in Spain a few months ago. Manuel Doval, Chief Information Officer, R, said of the agreement: “The solution will allow us to diagnose exceptions affecting subscribers more quickly. The solution can be adapted to both our existing and future range of products and services. This will optimise our work in terms of the timeframes and actions involved in service quality management processes”. He added: “In light of the achievements we have obtained using Vitria’s solutions, trusting Vitria again to further improve our services offering for subscribers was a logical step for us. Here, the M3O solution and its native integration with our client management system will yield improvements for R in terms of costs and business operability”. Thanks to this new 100% Web 2.0 solution, R will be able to quickly detect, analyse, and solve management problems that not only impact users in operations, but also in any other area of the company, from finance to systems, processes, and services. Also, through the various modules that Vitria’s Exception Management Solution includes, such as the BPM and Workflow layers, the operator will facilitate increased communications between the business and IT departments, aligning both worlds in a closer, faster and more collaborative environment. The result will be getting R’s services to market faster. With the contract, R joins the group of global clients which have implemented the new Vitria’s Exception Management Solution. “We are truly proud that R has chosen us once again. It is a great success that demonstrates the level of trust and satisfaction that our clients have in relation to the solutions we offer them and from which they gain clear benefits in cost and management time reduction.” Guy Bouchon, Vitria Technology’s Managing Director in Spain. With this agreement, the Galician company once again shows its trust in Vitria, a company whose integration solutions it has successfully implemented for years through products such as Vitria BusinessWare and Vitria Order Accelerator, the latter being an engine for the management of the complete services provision cycle. R, the Galician fibre optic communications operator, offers fixed line, high-speed Internet, interactive and multi-channel digital television and mobile telephony services. Today, R has more than 232,000 susbscribers and has invested €681 million to date in this Galicia-based project. For further information visit www.mundor.com or e-mail comunicacion@mundo-r.net.